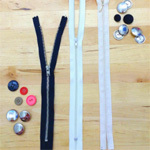 For anyone who has thought about starting to sew, making your own clothes and accessories can seem overwhelming. There’s plenty of help out there – craft bloggers, social media, and even Youtube videos – but if you just don’t know where to start, or you want to learn from a sewing teacher, why not look for a sewing class in your local area? There are so many great classes across the country, you’ll meet lots of likeminded people and you’ll be given hands-on help with your sewing styles and techniques. Here are my picks of the best sewing classes if you’re itching to get started on making your own clothes and home accessories. If you know of any more, let me know in the comments below. Why not read about our family-run history or head to our online shop to purchase your favourite sewing supplies? Set up as a creative hub more than six years ago, The Makery shop and craft space is situated in the picturesque city of Bath. The shop and workshop space was created to help anyone wanting to be more resourceful and to stop people from throwing away their old stuff, whilst having fun at the same time. There are a range of classes at The Makery aimed at beginners (and those with a bit more sewing experience), and plenty of sewing supplies and kits to purchase too. Suggested class: The three hour ‘Cushions: Learn to Sew’ class is the one to look out for as it’s aimed at complete beginners and you’ll go home with a finished cushion to adorn your sofa. Run by Lisa Comfort in two locations in the capital, the Sew Over It classes have helped over 5000 people learn to sew since 2011. Students will benefit from small classes and will also learn in an enjoyable and easy way. Plus, there’s tea and cake served in every class! If you’re not in London and still want to learn from Lisa, she has just set up an online class to make a dress too! 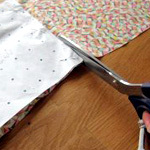 Suggested class: The ‘Intro to Sewing’ class is aimed at complete beginners and will teach you the basics of sewing. 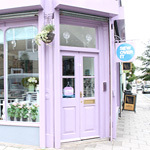 Former Great British Sewing Bee runner-up Lauren Guthrie set up the Guthrie and Ghani shop in 2013, with her husband Ayaz. She is passionate about inspiring people to be creative and hosts a number of workshops including dressmaking, general sewing, knitting and crochet. The workshops take place in the atmospheric open space in the mock Tudor building in Birmingham, where there is plenty of natural light. All sewing equipment, including sewing machines, cutting tables and all the tools and notions new crafters might need are provided, so all you’ll need is your pattern and fabric. Suggested class: Lauren’s ‘Beginners Dressmaking – Simple Skirt’ is the one to choose if you’re looking to create a garment from scratch. This class incorporates three different simple skirt patterns. Costume designer Claire-Louise Hardie is most recently known for working on The Great British Sewing Bee and is also the author of The Great British Sewing Bee: Fashion with Fabric. The Thrifty Stitcher, a small school in Stoke Newington, is a place with plenty of friendly sewing classes for aspiring seamstresses. Suggested class: ‘The Ultimate Beginners Sewing Day Package’ is a fast-track course where you’ll learn the basics of using a sewing machine during the morning and demystify the language of dressmaking patterns in the afternoon. Founded by milliner Arianna Cadwallader, Saturday Sewing Session was created to share a love of sewing, fabrics and handmade crafts with beginner sewing enthusiasts. Classes are held by trained experts who have a passion for the crafts they teach, including Arianna, who has worked behind the scenes on films such as Bridget Jones’s Diary: The Edge of Reason and Harry Potter. Suggested class: The ‘Beginners Dressmaking Bootcamp’ is a six hour session which will teach new crafters how to machine sew from scratch by making a lined laundry bag and lounge shorts. For a comprehensive listing of all sewing classes in the UK, check out William Gee’s Sewing Directory here. 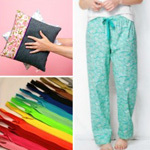 Are there any sewing classes you think we should add to this list? 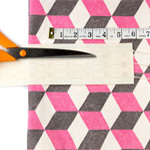 We’d love to know if there are any sewing classes you would recommend? Let us know in the comments below!